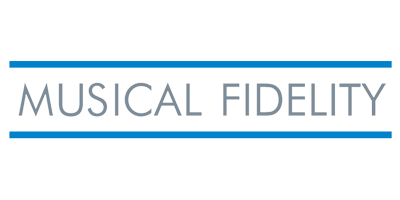 We are a family owned Hi-Fi shop specialising in Hi-Fi audio and home cinema and have been in the business since 1987 based in our shop in Wrexham, North Wales. The Internet side of our business is important to us, but it is not at the core of what we do. Many internet sites rely purely on postal sales with one guy sticking addresses on parcels and sending them off (box shifters). This type of business is fine for the majority of items (and keeps costs low) – but leaves little room for advice or help. We believe that proper support and help should be available for every item we sell whether it is from our shop or from our web site. For example, we provide diagrams on how to connect your particular system and even open up the boxes to set up the system if required. For this reason you may not find us the cheapest if you trawl around for long enough, but we try to be competitive, offering a balance of price and service. We listen to and use equipment from many manufacturers every day. We don’t read reviews, we don’t need to. How someone can say that one system sounds better than another they heard six months ago in a different room with different speakers and a varying level of ear wax is beyond us. We know our equipment back to front (the back is often more familiar to us than the front!) which is very important when trying to solve problems over the phone. However, what is often more important stil is the broad base of knowledge we have gained over the years about the equipment you already have, to which your new purchases have to be connected. It is frightening for example, that over the years we have come across only too many sky digital boxes that have not been set up properly with scart leads in the wrong sockets.